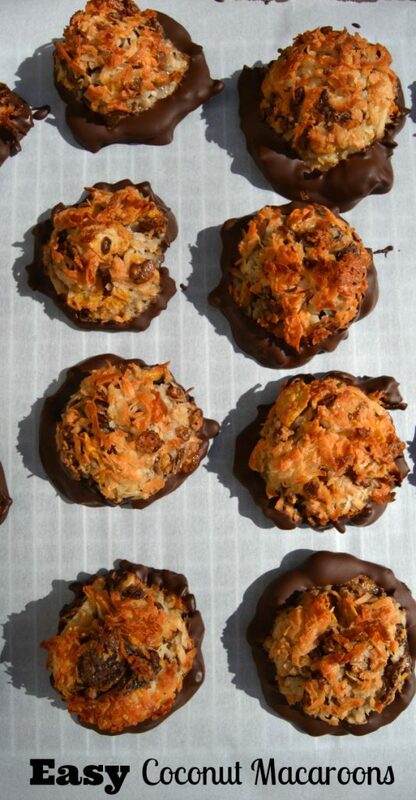 These easy coconut macaroons do have a secret ingredient- the NEW Post Honey Bunches of Oats Chocolate cereal. 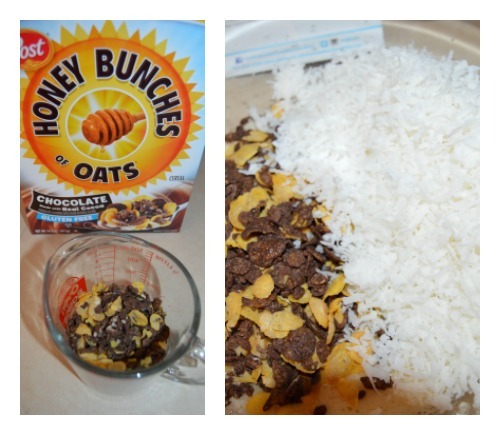 It delivers the perfect combination of crispy flakes, crunchy bunches and the yumminess of real cocoa. Whether poured into a bowl with milk, eaten straight out of the box or used in this delicious recipe, we enjoyed the new Honey Bunches of Oats Chocolate cereal. I am also happy to say that it doesn’t really have that much extra sugar either. 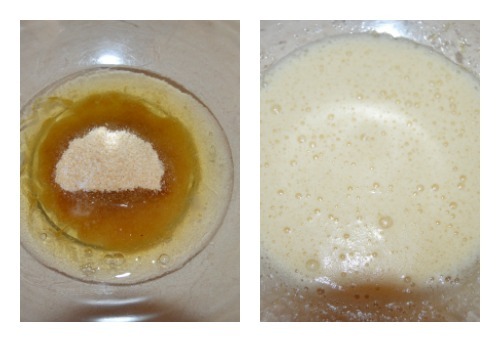 In a large bowl, whisk together egg whites, sugar, and salt until very frothy. 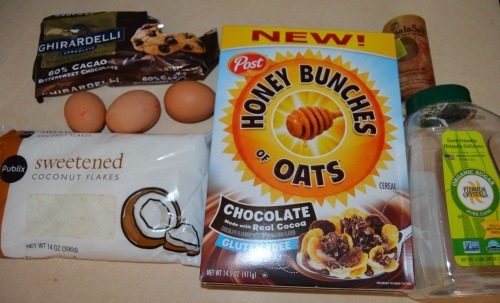 Fold in coconut and Honey Bunches of Oats Chocolate cereal until moistened. 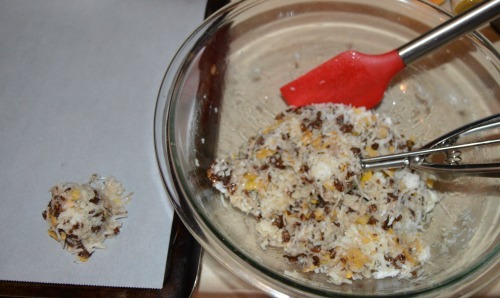 Drop mixture into 2 inch rounds on a parchment paper covered baking sheet. I used an ice cream scoop in order to squish the mixture together in evenly sized balls against the bowl before placing on the sheet (but that is optional). Bake until lightly golden, about 20-25 minutes. Transfer to a wire rack to cool completely. I just slid the whole parchment sheet over to make it easy. Using a microwave safe bowl, melt the chocolate chips in the microwave in 30 second intervals stirring until smooth. 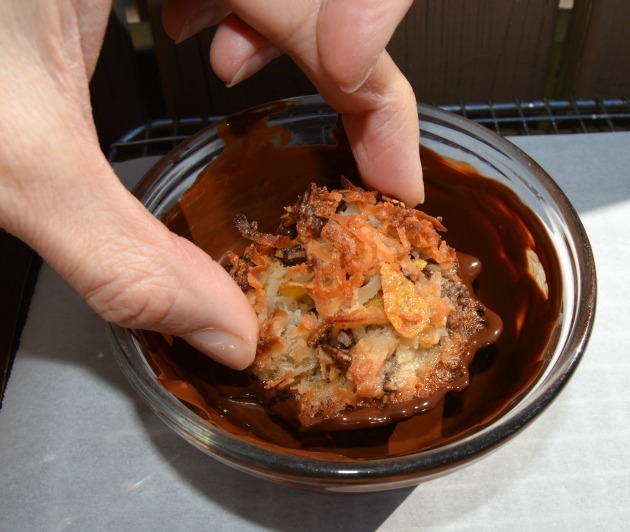 I hope you enjoy this easy coconut macaroons recipe. I just loved it. 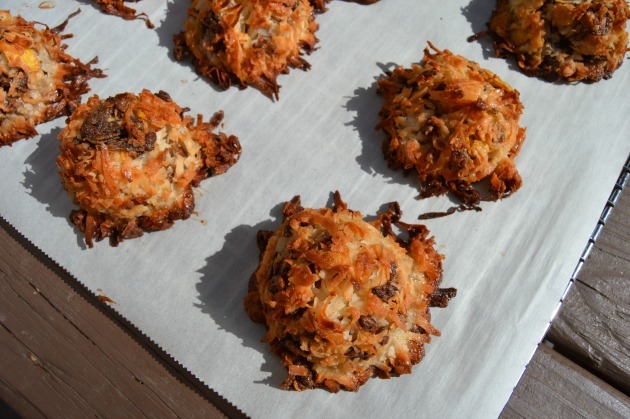 Do you think you try making homemade coconut macaroons? Did you know they were this easy and that they are gluten free?? I love macaroons! 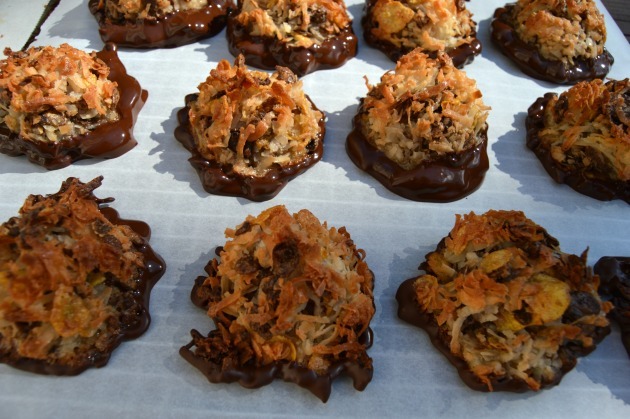 chocolate covered coconut is just so perfect!